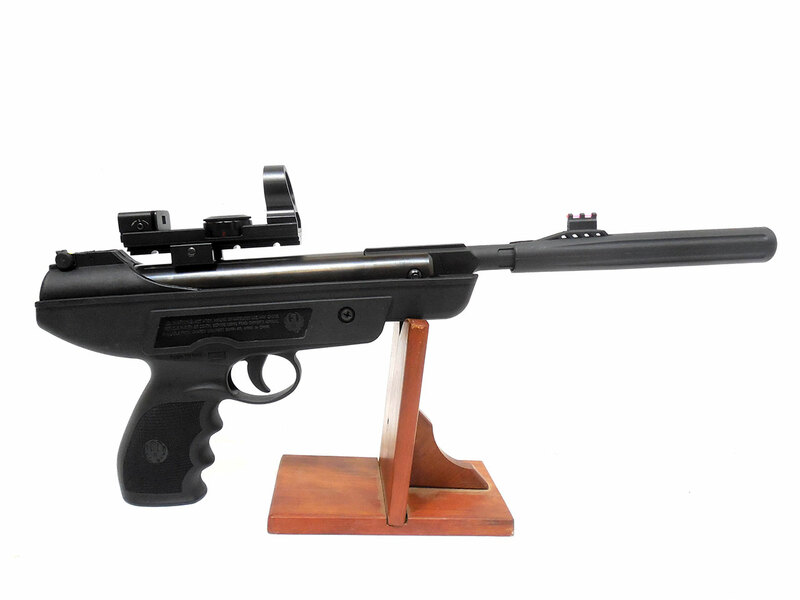 The Ruger Mark I is a .177 caliber break barrel air pistol with fiber optic front and rear sights, and detachable handle for cocking the barrel. This one comes with a NcStar 1×25 red dot sight. 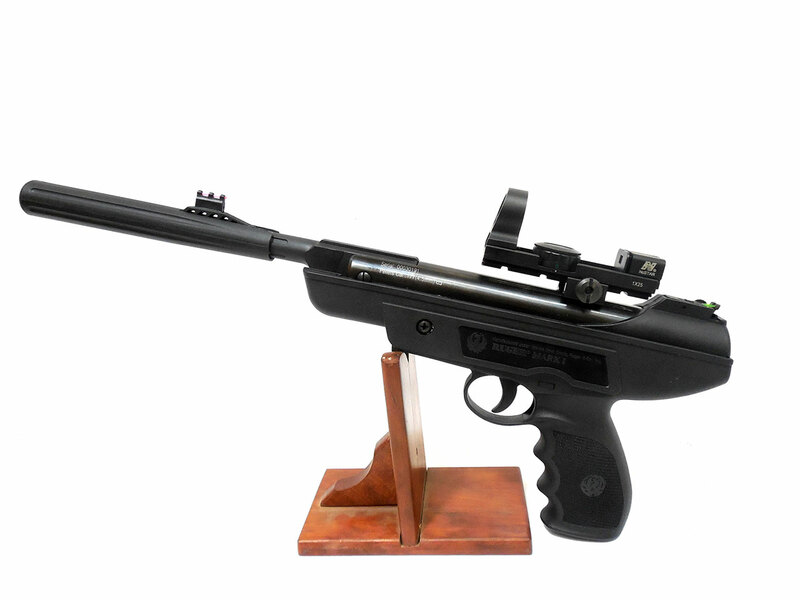 This gun is in about 95% original condition over all. We tested the velocity in our shop at around 471 fps using lead pellets.